"People are attached to the idea of washing raw poultry," Jennifer Quinlan, Associate Professor in the Nutrition Science Department at Drexel University, said in program materials. "Some think they're cleaning off germs. Some just want to get slime off, or feel like it's dirty." Much of the chicken purchased at the supermarket, regardless of which parts or whether or not it has skin, comes with campylobacter or salmonella bacteria. Neither cold or warm water, nor fruit acids will kill those bacteria, which can sometimes cause severe cases of food-borne illness. The way to make chicken safe to eat is to cook it thoroughly. The internal temperature of the chicken should reach 165 °F as measured with a food thermometer, according to FDA guidelines. Whether it's grilled, baked, fried or slow-cooked, it's the exposure to high heat that kills all the bacteria. The "Don't Wash Your Chicken" program website says: "If germs were visible to the naked eye, you would see that washing poultry just splashes bacteria all over you, your kitchen towels, your countertops, and any other food you have nearby, such as raw foods or salads. This can make people sick, especially young children, pregnant women, older adults and the immunocompromised." To illustrate the risk, a mock infrared animation of "Germ-vision" shows how these tiny particles of bacteria can spray far and wide when chicken is washed — a process called aerosolization. Quinlan said she discovered how prevalent chicken washing is through the course of her research on the quality and safety of food in minority populations, as part of a USDA-funded program. Through surveys and focus groups in the Philadelphia area, the research team found that washing chicken before cooking was common to several groups. Expanded research showed that the practice is almost universal. The goal of the campaign is to educate people about the dangers of spreading bacteria and cross-contaminating other foods by washing chicken. For those who want to take an extra cleaning step to remove sliminess before cooking, the FDA recommends wiping chicken with a disposable paper towel. 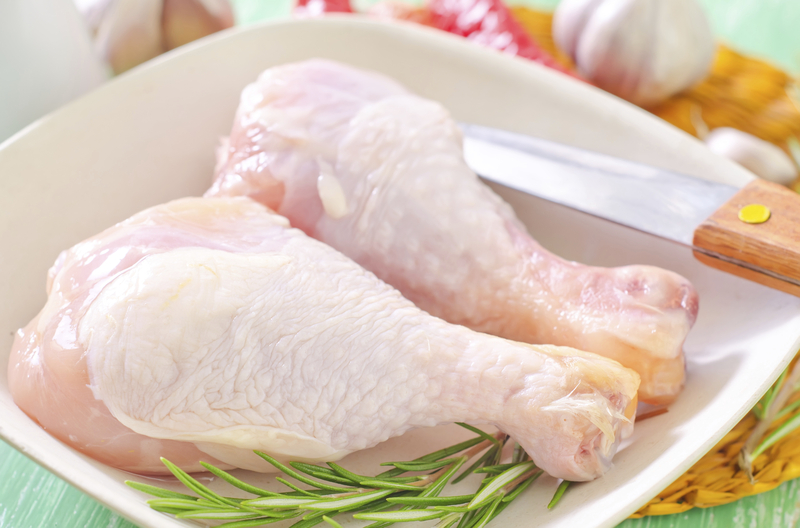 Then be careful to wash any utensils, plates, cutting boards or kitchen counters that came in contact with raw chicken to avoid spreading the bacteria while you finish cooking.